The automotive industry in the UK is expected to spend £1.75 billion on digital advertising by the end of 2018 and Facebook ads will make up a big chunk of this. For automotive brands and car dealers, Facebook has proved to be a great place to reach hand-risers, in-market shoppers and current owners. However, reaching leads at the right time with the right content can be challenging. In order to make sure their ad budgets are spent wisely, marketers need to make important decisions about the most effective ad strategies, targeting options and ad formats to hit their goals. With so much to think about, it is only natural to feel a bit overwhelmed and uninspired every now and then. To give you some fresh ad ideas, we look at 5 of the most amazing automotive Facebook ads we have seen and helped create lately. Facebook Lead Ads are a great way to provide a seamless mobile experience and drive low-cost enquiries and test drive leads. The beauty of Lead Ads is that they allow you to collect leads’ contact details without them having to leave Facebook. Lead ad forms are pre-filled with profile Facebook information which makes the experience of filling them in as seamless as possible. For most of our auto clients, we’ve seen Facebook Lead ads outperforming landing pages with a reduced cost per lead of 50% and increase in lead volume of 200%. The Facebook Lead Ad format can easily be used for either hand raiser campaigns, brochure requests or test drive bookings. Experiment with using Lead Ads for different types of campaigns and monitor the results. Make sure you personalise your forms in order to capture the information that matters to you. This can help qualify leads. For example, people who say they are looking to buy a car in the next 3 months are twice as likely to convert to a sale. You can add multiple consent options, which is critical for EU automotive brands for GDPR-friendly. You can also add custom disclaimers to inform people how their data will be used. Add a customised welcome message to your lead form to make sure leads understand what they are signing up for and to set expectations for what happens after they submit the form. Being as clear as possible in your lead ads will ensure that your ad budget is not being wasted on low-quality leads. Send tracking codes with each lead to your CRM/ DMS so you can track through to vehicle sales. Facebook Dynamic ads are an incredibly effective way for car dealerships to sell new and used car inventory faster. In this example, CarMax is doing a great job of listing the available used car vehicles available around their stores. Facebook Dynamic Auto Ads allow you to showcase your inventory by combining your product feed with the Facebook pixel on your website. Simply connect your Product feed to Facebook’s Business Manager, setup the website pixel to send product ID views back to Facebook and setup your ad template. Dynamic auto ads for Facebook are designed with auto in mind, so showcase the mileage, price and other features of the car. You can test creating dynamic ads for either specific models of vehicles, whole ranges or even vehicle categories such as “Family” or “Saloon”. Dynamic Ads can be a time consuming ad format to deploy across your network of dealerships. Using a platform like Driftrock can help you deploy personalised campaigns across different dealerships in a few clicks saving your hours of manual work. Facebook is now predominantly a video platform. Video ads on Facebook are a great way to tell more of your story, showcase a car or simply add some life to the content. Here’s an example of a weather-triggered video ad that we ran with BMW xDrive. Not only is this a great way to build brand awareness, but Facebook also allows us to then target people who watch the ad with a second one. This is a great way to increase the quality of your leads. You can optimise campaigns for video views. Facebook has a new ThruView feature where you can optimise for people who watch 15 seconds or more, which is useful for longer brand or demo videos. You can also use videos in other ad objectives like Facebook Lead Ads and Website Conversions. People spend just 1.5 seconds on each Facebook post in their newsfeed, which means the first 1.5 seconds must capture attention and get your message across. Don’t have a TV ad style build up to your key message. Instead, start with the reason why people should watch and who you are. For example, if we were driving test drives for a new car launch we might start with “An inside look at the new BMW 3 Series” as the first frame of the video, before then showing the inside of the vehicle. Finally, we invite the customer to take action and book a test drive. At Driftrock we have dynamic video ad templates for automotive if you need help creating the perfect video for Facebook. Facebook Canvas ads are built specifically for mobile devices and allow brands to showcase products in an immersive mobile visual experience. Canvas ads can be used in automotive marketing to showcase a specific model, a whole range or even as a virtual tour of a local showroom. Fiat used canvas ads as part of their dealership marketing campaign to drive commercial sales for their Fiat Professional Doblo and Fiat Professional Fullback LX models. In this example, one of the Fiat dealers, Vospers Van Centre used a series of images showcasing the two models. Vospers Van Centre also used video to highlight specific features of the models such as the easy access handles. 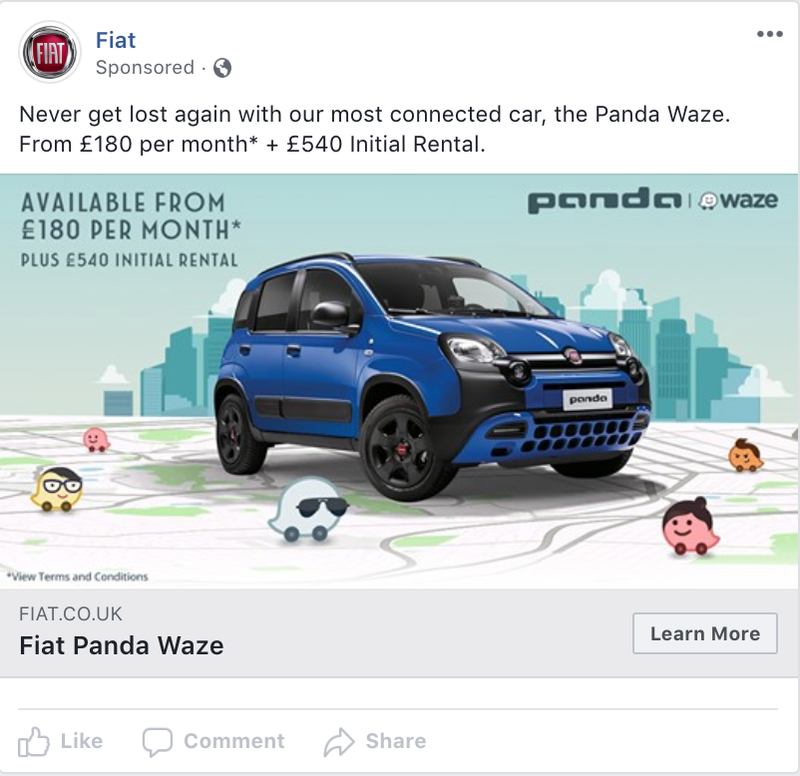 We worked with Fiat to create this ad campaign using our localised dealer program Blueprints which makes deploying localised campaigns at scale faster and easier. This Facebook Canvas ad by Fiat uses a combination of images and video to showcase Fiat Professional models and highlight specific features. Canvas ads’ rich, visual experience makes them a suitable ad format for awareness campaigns but if you want to make sure you generate highly qualified leads off the back of your awareness campaigns create a Facebook Lead Ad retargeting audiences who engaged with your canvas ads. Using video ads a little extra magic to any canvas so make sure you make use of any relevant short video assets in your campaigns. It is easy to get carried away when you are given a blank canvas but always keep in mind the goal of your ad and keep design elements simple and geared towards driving people to the desired next action. You have probably heard about conversational marketing which refers to a new one-to-one approach to digital marketing made possible thanks to real-time messaging and intelligent chatbots. There were 100,000 chatbots on Facebook Messenger in 2017 and they are already changing the way many industries approach customer support and lead generation online. The immediate response and the ability to give quick and easy access to large volumes of information make chatbots an attractive lead generation option for automotive companies. INFINITI introduced their chatty Facebook Messenger chatbot, Idris to help people learn more about the new QX50 model. After spending some time chatting to Idris we were honestly impressed with Idris’ chattiness and the amount of information available and flexibility of interaction. Idris can show you the whole range, explain specific features in detail, show you offers, let you download a brochure and even book you for a test drive. The best thing about chatbots like Idris is that they are available around the clock and on weekends to answer customer questions and generate new leads. If you are curious, go ahead and have a chat with Idris yourself. Building a chatbot for the sake of having a chatbot is not a great plan. Make sure there is a use case in your business for the chatbot and it is created with an end goal in mind. Perhaps one of the most important questions to ask yourself if you are considering using Facebook Messenger chatbot for lead generation is whether your audience will come across it and enjoy using it. Is a big enough proportion of your audience using Facebook Messenger? Is your audience likely to engage with chatbots? What tone of voice is your audience going to respond well to? The point of chatbots is to recreate real human interaction as closely as possible. This means that it is important that you get the tone and personality of your chatbot right. Writing great copy for chatbots is an art and it is important that you carefully consider this aspect of your bot. 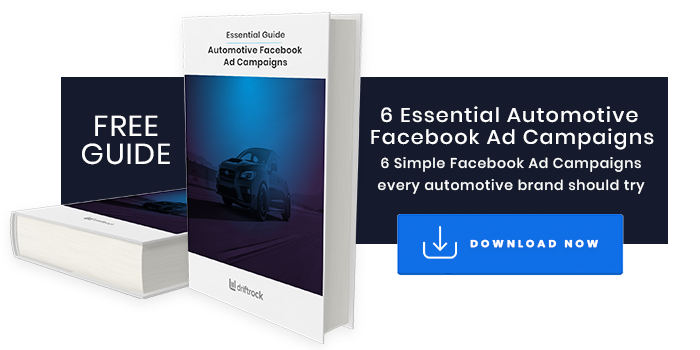 If you are looking for some inspiration for your next Facebook ad campaign check out our free guide on the 6 Essential Facebook Ad Campaigns for the Automotive industry. So what do all these great Facebook ads have in common that makes them so great? Here are our top takeaways from the examples listed above and some best practice tips for the automotive industry. All the examples we have collected here are examples of highly relevant advertising. They are examples of well planned, well executed, data-driven campaigns that use advanced segmentation and targeting strategies. Smart audience segmentation and effective targeting are one of the best ways to ensure your ads get a good relevance score and reach wider audiences at a lower cost. Driftrock’s Lead Analysis & Segmentation features give you the ability to segment your leads and customers in a few clicks and generate incredible insights about your audience. Setting up smart dynamic segments for your high quality leads allows you to analyse which campaigns generate them and optimise future campaigns. Check out this blog post on 5 Facebook automotive strategies for some ad strategy inspiration. 3 out of the 5 examples we list here are of mobile only ad formats and that’s not a coincidence. Over 95% of active users access Facebook on their smartphone which means that marketers need to optimise the way they reach audiences on mobile devices. Ad formats such as Lead Ads and Canvas Ads were designed with mobile use at their heart and have successfully removed a lot of the frustrations associated with shopping and browsing online. Facebook Messenger has 1.2 billion active monthly users so campaigns such as INFINITI’s chatbot Idris are becoming more and more relevant. Whatever strategy you decide to test make sure that it is executed with the best mobile experience in mind. Most of the successful campaigns, including the ones we listed here, come as a result of meticulous data analysis and after a series of trials and errors. Make sure you make data-driven decisions about your Facebook advertising and that you test various ad formats. Testing different variations of your ads can be an incredible source of insights about your audience and a source of inspiration for your ad strategy. Facebook’s built-in split testing feature allows you to identify what ads are more likely to drive results. There are numerous variables you can test with your Facebook ads such as the ad copy, ad format, the call to action, audience, images and offers. 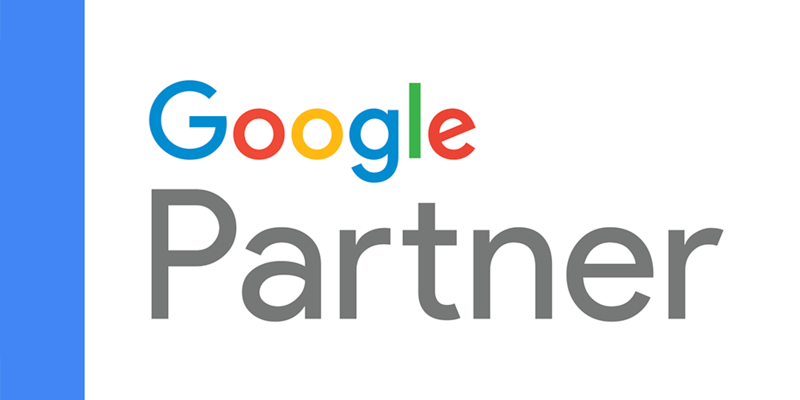 As long as you are constantly testing, learning and optimising, your ads’ performance will consistently improve. With our top tips in mind and with the amazing examples we listed here you should now be ready to get started with some amazing Facebook ad campaigns of your own. Hopefully, you got some fresh ad ideas and are now feeling excited about the great things you can achieve with Facebook advertising. Go ahead and make some Facebook ad magic! If you ever feel like chatting to us about how Driftrock can help your ad campaigns please get in touch.